SO excited!! You all know what kinds of awesome salvaged goodies we get here in the store. Our showrooms and warehouse are chock full of really cool things looking for another chance to be useful! But you’ve replaced your door and gotten a suitable light fixture for your bathroom, NOW what?! Well my friends, we’ve started some boards on Pinterest to showcase some further projects to take your home from really good to really fantastic and one-of-a-kind. We’ve organized our boards by material – that is, by what you would find in the different sections of our store. Doors, Windows, Electrical, Lighting, Hardware, and Plumbing are just a few of the boards. We’ve also got a board called “Just Plain Cool” that can further jog the creative juices for the Reuse philosophy! 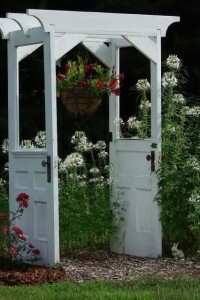 Pop on by to www.pinterest.com/homereuse.